BMI designs with a focus on proper engineering techniques. The first step BMI takes is to construct several test cases. These are used to determine the areas where the most improvement can be gained. 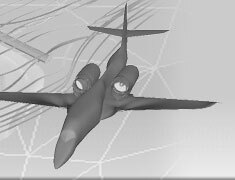 A full design is then developed in the latest Solidworks package. Every piece is designed with an exact tolerance. Working with proper design and manufacturing tolerances, BMI has created a sound, repeatable and efficient parts . BMI is able to provide clients with the flexibility of detailed design input. The expert design staff will also work with the customer’s engineers to define specifications. 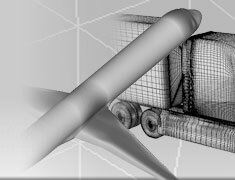 To collaborate on this effort, companies can be given access to an online interactive design of the solidworks model. 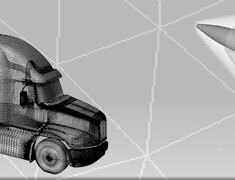 Engineers can see the changes made to the part and navigate through the model without installing any special software. This allows for a collaborative effort ensuring the final product is delivered exactly as it was desired with no surprises or miscommunications. BMI also has the capacity to work with customers on several other areas. 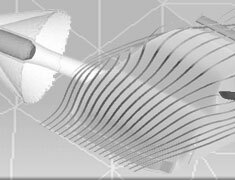 Fluid dynamics is our core focus but analysis can also include FEA tests as well as kinematics. Having a great design with specific tolerances will only be as good as the construction techniques used to build it. BMI has focused on not only on the design but the implementation of it as well. BMI's manufacturing process employs several technologies. Individual pieces are created using computer controlled laser cutters and bends are always made using a CNC bender. BMI’s methods ensure repeatability while always holding tight tolerances. The tight tolerances allow for the pieces to fit better throughout the assembly saving weight and guaranteeing an accurate construction. Once BMI has finished construction, it can be checked using CMM (Coordinate Measuring Machine) technology. Each product can be verified to meet specifications. BMI continues to work with customers developing an improved component layout and packaging.